Japan’s second largest retail Forex broker by volume, DMM Securities, has just released its July volumes showing another month-on-month decline, the sixth month straight of declines for the broker. 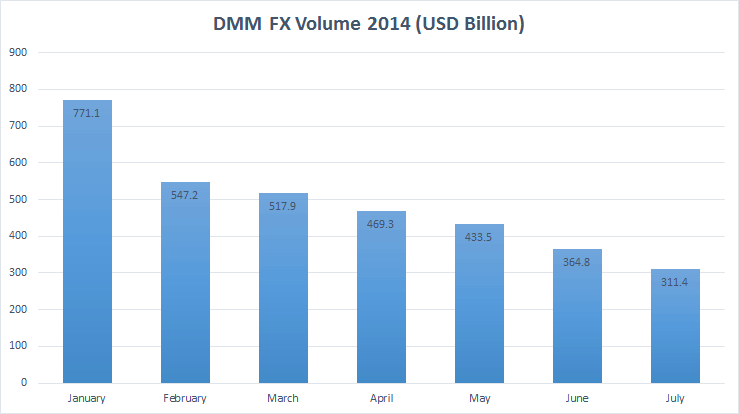 The total client FX trading volume in July 2014 for DMM was just $311.4 Billion (32,009 Billion yen), down by about 14.7% from $364.8 the previous month. 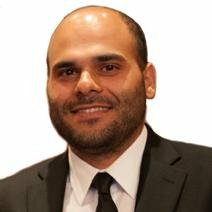 After a major surge in volumes at the start of the year (up 55% in January), the trading volumes for DMM have continued to fall month after month, hurt by the low volatility in the popular YEN USD currency pair. All Japanese brokers have been suffering similar declines in volume this year, but earlier this month the Tokyo Financial Exchange (TFX) posted a small comeback and we will need to see if the rest of the Japanese brokers follow TFX or DMM.